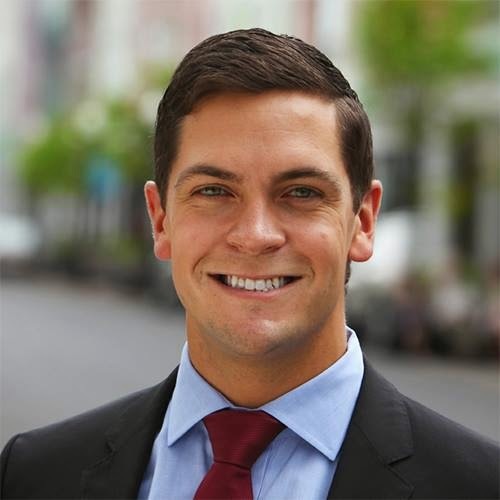 Sean Eldridge grew up in a small town in Ohio and attended public schools. His father was the first person in his family to graduate from high school, and his mother grew up in a working class family of immigrants. From a young age, Sean’s family instilled in him the value of public service and the importance of fighting for those who don’t have a voice. Sean has built his home, his family, and his business in the Hudson Valley. He serves as the president of Kingston-based Hudson River Ventures, an investment company that has created local jobs and grown small businesses throughout our region, including family- and veteran-owned companies. Hudson River Ventures has helped grow more than a dozen local businesses, including Bread Alone, Prohibition Distillery, Gigi Hudson Valley, and many others. Sean knows that just as we must expand economic opportunity today, we need to invest in the next generation, which is why he founded the Hudson Valley Advanced Manufacturing Center at SUNY New Paltz. The Center is preparing students and workers for the new economy by bringing cutting-edge manufacturing technology – including 3D printing – to the region. Sean has a deep commitment to public service. He’s worked with Planned Parenthood to protect women’s access to health care in the Hudson Valley. As an advocate for civil rights, he helped lead the successful campaign for marriage equality in New York State in 2011. Sean has been a leader in the fight to reform our broken campaign finance system and reduce the power of money and special interests in politics. He’s also worked to protect the environment and the incredible natural resources in our region. Sean is running for Congress to help break the gridlock in Washington. He will fight to grow our local economy, reduce unemployment and strengthen the middle class. Sean will take on the big corporations and entrenched interests that are drowning out the voices of New Yorkers. He will be an independent voice for us.